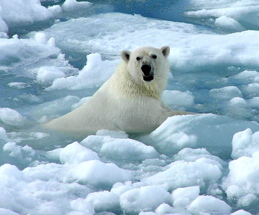 Time is Running Out for Polar Bears! ESP Experiences- Shair Your Story,Learn From Others, Greenpeace, Haunted Places and Mysteries of the Unknown, Healthy Cooking, Healthy Living Network, Hugs and Hope, International Network of Missing Children and Adults (INMCA), International Wildlife Rescue, Learning Irish Gaelic---L�ann Gaeilge, Let The People Post!, Love & Starting Over Again, Love, Tolerance, and Ridiculous Stuff, Make A Difference - Smile..., Movies and Entertainment, NATURE PROVIDES, Nature Lovers, Nature's Herbal Healing, Pets in Need, Protect Arctic Refuge, Race for the Big Cats, Race for the Rainforest, Save The Manatee, Small/Medium NonProfits & Charities Co-Op, Smithsonian Jazz, Star Trek Fans, The Clothing textile & Hollywood fashion style Association, The Poetry World Of tcmoon, ThePetitionSite Center, Tobacco Free Kids, Tribal storytelling, Vegan, Vegetarian, Weird and Wicked Weather, Wolf Mountain Sanctuary, Xtraordinary Things, Yellowstone Currents, rAw vEgAn, your grief will turn to Joy! Wild Fact About Me I teach about birds of prey with hawks, falcons, and owls. My special owl is Socrates, a male Eurasian Eagle Owl. My Philosophy Educate, Educate, Educate!!!!! Living animals make awesome teachers assistants! What Gives Me Hope Every time I am in public with Socrates. Everyone loves him. Hopefully as an ambassador for his species and all wild animals, he and our other birds are having a huge impact on the young people we interact with each day in schools across all of California! If I were Mayor, I'd make the world a better place by Tighten up our current environmental laws, encourage eco friendly choices and kick out all of Bush's team of "money at all costs" people. What/who changed my life and why Tallon Knight and Falcons' Court because volunteering with them gave me the opportunity to learn about and then teach about raptors with our team of raptors and especially Socrates in schools and educational events all over California. Quotation "The secret of life, though, is to fall seven times and to get up eight times." Roxanne, please click on the link above the image for access to my blog for a beautiful message! 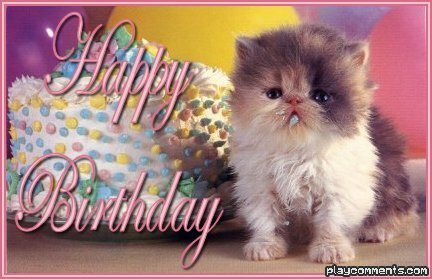 Roxanne, I wish for you many years of good health, full of Peace, Light and Happiness! Roanne, I wish for you many years of good health, full of Peace, Light and Happiness! Roxanne, I wish for you many years of good health, full of love, peace and happiness!